I believe those discs fetch a fairly high price on eBay! Don’t throw them away! Maybe it's just me, but it doesn't seem to matter whether I surprise attack the monsters or not. I'm pretty sure I've seen it elsewhere (Persona 3 comes to mind) where, if I surprise an enemy, I can act first without the monsters doing anything. The opposite is also true: if I get attached from behind by the monsters, that doesn't seem to have any impact on whether the get a free turn or not. I think with all of the Dragon Quest games, surprise attacks and ambushes are determined by some kind of invisible stats roll at the start of combat. The angle you encounter an enemy at doesn't seem to matter. Coming from games like Persona or Ni No Kuni where that does matter, it always throws me off for a bit. I agree with you both. When I moved over from PS1 I was really excited to see encounters on the map. But I'm used to being able to sneak attack and having to be careful not to be surprised, in my case from all the time spent playing the Tales series. I still really like the change from PS1 though. I find the visible enemies to be nice when out in the overworld, as there's more room to avoid them, but like you pointed out: in the dungeons, not only are the spaces too small to really get around enemies, but there's nothing to prevent you from stumbling out of one encounter and into another. I've wondered if visible enemies in the dungeons doesn't actually make the encounter rate higher. You are absolutely right, it's higher than on PS1 in dungeons. Somehow I still do like at least having a shot at (sometimes, er rarely) dodging the encounter. Also, my level seems to be pushing the monster cap atm so I've been using holy protection a lot to disable encounters. One change from PS1 I definitely should mention is the improvement to the world map. On the 3DS, unvisited areas are whited out. So, after you complete a past zone, you return to the present, check your map then travel to the newly added whited out area to see what's changed. However, on PS1, the unvisited areas are not marked in any way. So, after you return to the present, you need to open up your map and work out how the map has changed. This isn't too difficult for the first few areas but, once you have ten to fifteen areas added to your map, figuring out which is the new one can require 5-10 minutes of sailing around. Eventually I did download a gif that someone had created with the areas marked but, prior to that, I wasted way too much time on this part of the game. Bleh. For some reason it took me a while to notice the white areas on the world map But you're right: once I realized it, it made exploration much more easier when getting back to the present! This wasn't immediately obvious to me, so just a heads up: if you use a monster heart to teach someone a new vocation, the heart item is consumed, and only that character can take on that vocation. I accidentally used the healslime heart on someone who was already a fully ranked priest. Whoops. Here's another thing about jobs that I've read about, but may not be immediately obvious: characters keep whatever skills and abilities they learn from basic jobs and monster jobs, but not from the higher-tier human jobs. Those skills and abilities only stay active while you're in the job. Clocky, for your game, this means that your character can still get some use out of the healslime heart: healslimes eventually get access to multiheal, which priests do not. Had my first party wipe on 3DS from the final boss of the winged people. That one gave me trouble on PS1 too. Also, I've been fairly aggressive with my class levelling so 2 of my party were on Gladiator and Champion and the other 2 were on throwaway classes. So I was short on anyone to cast group buffs or magic protect so we got absolutely devastated by group attacks that were doing 100+ damage. That’s interesting, I just fought him and had no trouble, but almost died when fighting the very similar boss right before him (inside the cave, on the way to the shrine). And I had MUCH more trouble with the envoy. Oomph and Flying Knee had my hero doing 250+ points of damage with each attack. That definitely helped. Don't have Oomph at the moment. I used the sacrifice attack (-20HP) per use with Hero and Ruff and they were each doing 120-150 per attack but just got devastated by aforementioned group spells. Also, don't have a guaranteed resurrect skill so Mervin's first 3 attempts to res failed. Plus, my new party member is on Jester right now and only has 120HP, whoops! Yes, I completely destroyed the other 2 you mentioned so, in a fit of overconfidence, I didn't bother to do any special prep for the final boss. Didn't even have the timesand or heal items equipped. I feel like I've really gotten into a groove with this one lately. I finished up the scenarios in both Nottagen and Providence today, and I'm about to promote Ruff to Champion and Maribel to Druid. I have my sights set on promoting the main character to Hero, but I'm not sure which vocations to master with him. He's finished Paladin, so I'm looking at Armamentalist and Pirate just to round out the vocations I haven't hit with anyone else yet. Anyone mind spoiling something for me? Are any more party members going to leave for any length of time? And does any set of characters become mandatory at any point? I'd like to plan ahead. Part of your question. You're about to lose Maribel of a significant amount of game time. Which has screwed me a bit currently because I was relying on her for buffs and heals. I was about to turn [name withheld] into a priest precisely for that purpose, thanks for pointing that out! Do you have the fourth party member? That one won’t leave, but he definitely is optional and can be missed. I got my revenge! Changed Mervyn and Aishe into Luminaries which was certainly a step up from Jester and Troubadour. Also, levelled up the MCs class to have access to Magic Wall. Of course, in the actual battle, Magic Wall didn't seem to do squat and the boss cast its mega attack only three times as opposed to 7+ times before. Easy pickings. Not too bad compared to PS1 where it took me 5 tries (2 party wipes and 2 crashes). Just went on with finishing the village with the priest and now I need to check on it in the present. There seems to be a lot of stuff with recruiting monsters, sending them to get tablets etc. It was kind of in the PS1 version but there seems to be more to do here. Anyone bothering with it? I've been chipping away at this before sleep the past few days. Is it me, or does this start out a bit slowly? I've been wandering around the first island nudging the story forward, but not much is happening yet. I think the soonest you can get a fourth party member is when you get the magic carpet, which is further on from where you are. Assuming that Last Surprise and I are talking about the same thing! Yes, you do have to spend quite some time with only 3 party members unfortunately! You need to complete the quest in present-day La Bravoure before you can get your 4th party member. Thanks! Sounds like I haven't missed anything yet (other than anything having to do with The Haven). OK, beat the big bad in the past, quite easily this time round (had a lot of trouble on PS1). At the moment I have 2 Heros, 1 Druid, and 1 Sage. It's quite the walkover. I did for a bit when I started playing the game, but haven't since I picked it back up. Someone else please correct this if I have it wrong, but I think the Haven stuff can be good if you have someone to Streetpass with, and the tablets can send you to worlds where you can easily earn some monster hearts. It seems to me that you will get plenty of hearts during the game, and that you also will have plenty of jobs without the excess hearts, so the Haven's not really necessary if you don't want to do it. Side note. I've not even started DQVII yet and not really feeling it right now. Again the time commitment and playing other things. However it's had another hurdle. 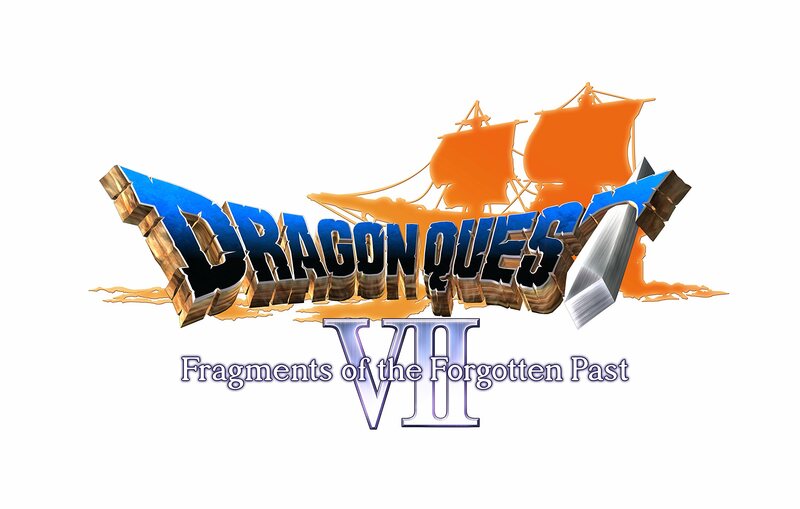 Just before the voting began, back when it got picked I was really keen to play a DQ game and when asked where to start I got the overall impression that DQVIII was the best place to begin in the series. Turns out I kind of had my mind made up on 8 and it's quality of life changes and so it seems my heart isn't in kicking off with 7. I'm actually not a big fan of 8, it was just really dull, although that goes back to the PS2 version. Currently 7 is vying with 9 for my fav. Bubblefuzz, I don't blame you. I'm also finding it hard to get motivated for this. Part of it, I know, is 11, which I'm pretty deep into -- it's hard to play more than one DQ game at the same time. And part of it is that I just don't love 7. I really enjoy the series, and have played all of the DQ games except 10 (a MMO not released in the USA), so I always expected to love 7. It just doesn't click with me the same way that the other games do. For what it's worth, I do think 8 is a great game, though if I were going to recommend a place to start, I would probably recommend 4. Mr GT Chris, out of curiosity, what is it about 7 that makes it one of your two favorites? I'm with Mr GT Chris, here. I've only played 7, 8, and 9 so far, but I like 7 significantly more than 8. I might like it more than 9, but I'm not completely sure yet. I like how each island in 7 is a little self-contained episode in the larger narrative, and I like the show build toward an over-arcing threat. It feels like playing through a TV show with a long arc. It also compliments my play style nicely of rotating on and off games every few hours; I can play a couple hours of 7 and feel like I've gotten a nice, contained experience. Mechanically, I like 7's character development systems so much more than what 8 has to offer. 8 gives you a few paths to develop for each character, but realistically you need to decide on two of them early and develop those exclusively. It also takes multiple levels to get enough skill points to unlock anything new. It ends up being slow and painfully linear. Similarly, combat doesn't present many interesting choices. 8 is maybe the embodiment of that cliche that JRPGs are just about watching a story and selecting Attack from the menu. Also, I like 7's characters more on a narrative level. More accurately: I prefer the way 7 treats its female character to the way that 8 treats its female character. Yes, Maribel is a bit of a brat, whines a lot, and talks too much sh*t. On the other hand, 8 basically spends its entire run time sexually harassing Jessica. There are multiple jokes throughout the game about the size of her breasts; there's a whole mechanic where monsters are so distracted by her body that they lose a turn; she gets garters and thongs as special equipment and has the game's only alternative costumes, which are more revealing; and one of her skill paths is basically sexual attractiveness. It's gross, and it feels like a concentrated dose of the sexism that's become such a problem in the genre as a whole. 8 is fine, on the whole, and it has a fantastic art style that's aged beautifully. But I find it difficult to recommend compared to the other Dragon Quest games I've played, both in narrative and in mechanics. The only thing it has over 7 and 9 is that it's easier to get ahold of than 9 and has a steadier framerate than 7. Side note: I'm only just meeting Aishe, so 7 could yet disappointment me!